A member of the Cabernet family of grapes, Carmenere is a grape originally planted in the Medoc region of Bordeaux. The name originates from the French word for crimson (carmin). 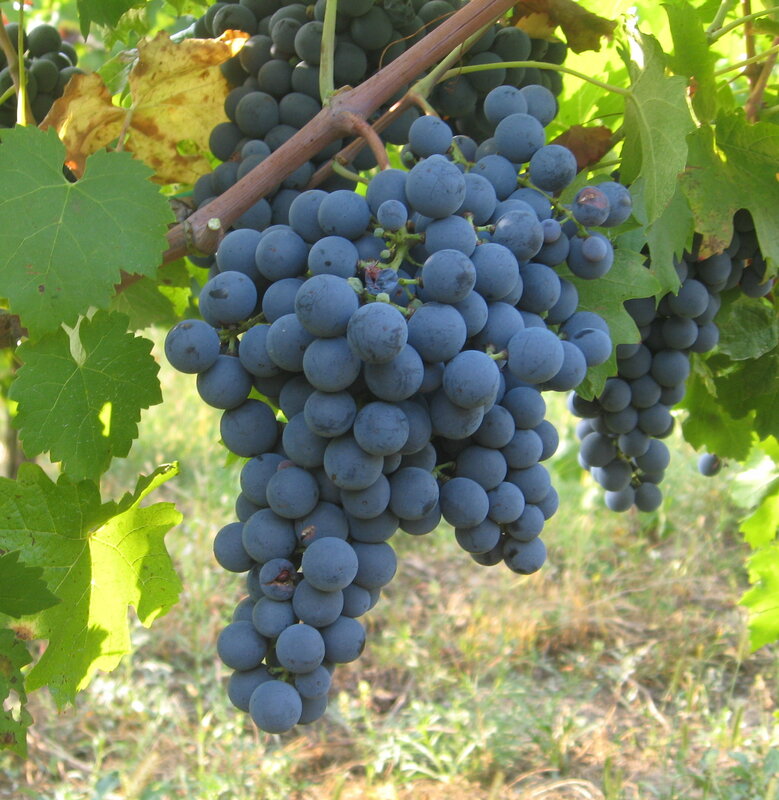 Carmenere, along with Cabernet Sauvignon, Cabernet Franc, Merlot, Malbec, and Petit Verdot, is considered part of the original six red grapes of Bordeaux, France. Carmenere is one of the most ancient European varieties, and is thought to be the antecedent of better known varieties. While Carmenere can trace origins to the Medoc region of Bordeaux, it is almost impossible to find the grape in France today as a Phylloxera plague in 1867 nearly destroyed all the vineyards in Europe, and the Carmenere grape in particular. The extent of the damage was so great that for a time Carmenere was thought to be extinct. Far from being extinct, the grape has thrived in several areas outside of France, most notably Chile, where growers preserved the grape for 150 years almost by mistake, thinking it to be Merlot. It wasn’t until 1998 that the Chilean Department of Agriculture recognized Carmenere as a distinct variety. Carmenere favors a longer growing season in moderate to warm climates. High levels of rain or irrigation water during harvest time and the winter period can be detrimental to the vines, particularly in poor-soil plantings. Over-watering during these periods accentuates the herbaceous and green pepper characteristics of the grape. Carmenere grapes naturally develop high levels of sugar before tannic ripeness is achieved. If grown in a climate that is too hot, the resulting wine will have a higher alcohol content and low balance. Carmenere buds and flowers three to seven days later than Merlot and the yield is lower. Carmenere leaves turn to crimson before dropping. Carmenere is produced in wineries as either a single-variety wine, or as blend, usually with Cabernet Sauvignon, Cabernet Franc, and/or Merlot. While Carmenere and Merlot are similar, and may in fact be genetically related, there are some differences to help pick them apart. When young, Carmenere leaves have a reddish hue underneath, while Merlot leaves are white underneath. Merlot ripens two to three weeks earlier than Carmenere. While originating in France, only a few hundred acres of Carmenere officlally exist in the country now. Chile and Italy both produce the grape, with Eastern Washington State’s Walla Walla Valley and California also growing the grape. Australia and New Zealand also grow Carmenere, though in much smaller qualities. Carmenere is often blended with other grapes, such as Cabernet Sauvignon, Cabernet Franc, and Merlot. When offered as a single variety, the wines offer softer tannins than Cabernet Sauvignon and cherry-like flavors, smoky notes, spicy earth flavors, dark chocolate, tobacco, leather, and green pepper flavors.